Boston is a sports town. When you ask people to identify Boston with a sport, you’ll hear baseball, football, hockey, basketball or likely, the marathon. And while the history of the Boston Marathon goes back more than 120 years to 1897, there’s another sport currently making waves on the shores of Boston, the triathlon. On July 30, 2017, athletes from across the city and country will gather on the shores of the Massachusetts Department of Conservation and Recreation’s Carson Beach for the only USA Triathlon sanctioned event in Boston, the 2017 Columbia Threadneedle Investments Boston Triathlon. The triathlon is a multisport event, where athletes compete in swimming, cycling and running one immediately after another. If you think it sounds tough, it can be. In an Ironman event, the granddaddy of the sport, participants swim 2.4 miles followed by a 112-mile bike ride and a 26.2-mile run. While that may call to mind the vision of the mighty athlete, complete with sculpted muscles and the fortitude of a true warrior honed by daily, grueling practice, don’t let it scare you off. A triathlon can be many different distances. Two of the most popular distances are the Sprint, which, in Boston, is a 750M swim, a 17.5K bike and a 5K run, and the Olympic, which is a 1.5K swim, a 35K bike and a 10K run. Both can be a fun way to challenge yourself to go a little bit further – whatever your personal goals might be. 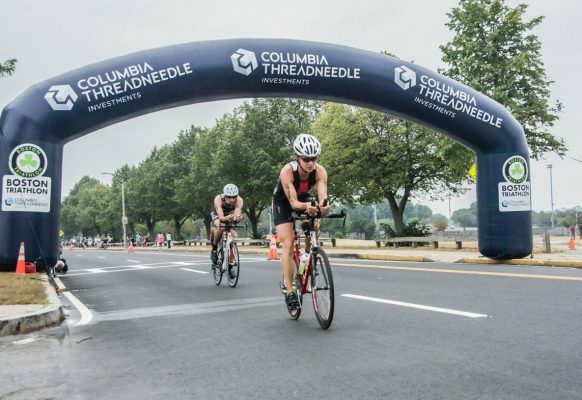 Now in its 9th year, the Columbia Threadneedle Investments Boston Triathlon has become one of the city’s biggest summer events, bringing participants, spectators and volunteers together to enjoy the festive atmosphere on the South Boston waterfront. The event is made up of amateur and professional athletes from across the country, first time racers, teams of friends and co-workers, local families, and weekend warriors. 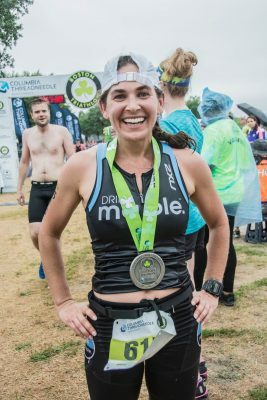 For Angela Naeth, North American Ironman Champion, professional triathlete and defending champion at the Boston race, the Columbia Threadneedle Investments Boston Triathlon is the perfect event for her and her triathlon team iracelikeagirl. Yet it’s not just about personal glory. The Columbia Threadneedle Investments Boston Triathlon is working closely with its official charity partner, Boston Medical Center, the largest safety-net hospital and busiest provider of trauma and emergency services in New England, to raise awareness of and funds for innovative addiction programs. All donations raised by Team BMC and Columbia Threadneedle athletes will directly benefit Boston Medical Center’s adolescent, young adult, and adult addiction programs that are working to combat the opioid epidemic plaguing communities across Massachusetts. 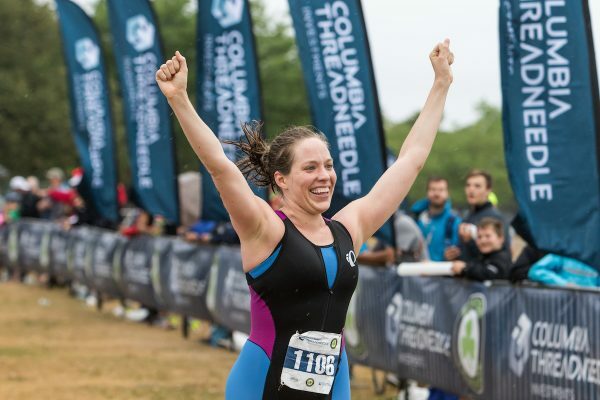 Columbia Threadneedle Investments has been a long-standing supporter of the sport of triathlon, sponsoring the Columbia Threadneedle World Triathlon Leeds in the U.K. and the Columbia Threadneedle Yilan Triathlon Championships in Taiwan, in addition to their commitment to Boston. For Ted Truscott, chief executive officer of Columbia Threadneedle Investments, a leading global asset manager, this connection with Boston Medical Center and the community is important. Swim, bike, run and celebrate! The 9th annual Columbia Threadneedle Investments Boston Triathlon kicks off Saturday, July 29 with Make it Kids Day, a host of events for athletes under the age of 15, including the Splash-and-Dash, the Kids’ Fun Run and the Clif Kids Ride Zone, a mini-track for young cyclists to have fun and work on their bike riding skills. On Sunday, July 30, participants will gather bright and early at DCR’s Carson Beach in South Boston for the main event. 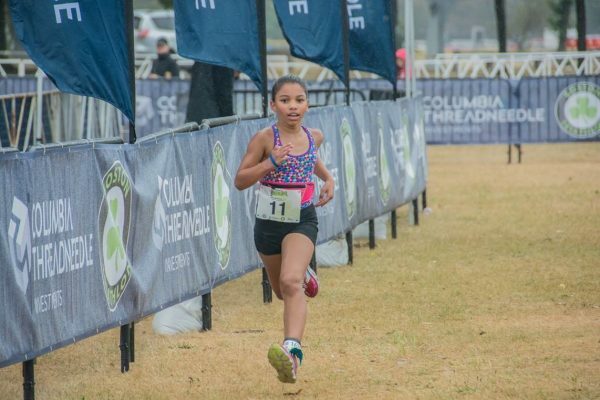 Both Olympic and sprint distance events will be held for solo athletes and relay teams, making participation in the event accessible for everyone regardless of athletic ability. You’ll even see some of Boston’s leading companies competing as a team for the right to hoist the Corporate Cup. 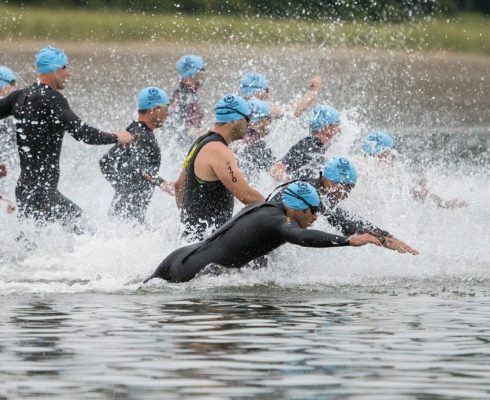 The swim is a point-to-point course in the waters of Dorchester Bay, followed by the bike segment on a looped course through wide, car-free roads. The run treats racers to a spectacular view of the Boston skyline as they race next to the South Boston shoreline. There will be plenty to do during and after the race, besides cheering on the participants and finishers, there will be numerous vendors sampling their products. A popular post-race destination is the legendary beer garden, with athletes gathering to celebrate with friends and family, listen to music, and cheer on winners in the awards ceremony. So, interested in taking on a new challenge? Learn more about the event and how you can participate by visiting bostontri.com.